Scent branding is a particularly new way to brand fashion retail stores and luxury innovative and creative realities like Gucci. The Signature Scent, custom-designed to the brand, is used to evoke a creative mood, causing the customer to linger, hopefully creating brand loyalty or at least a memorable experience. The scent is diffused through hidden high-tech professional scent diffusers, suitable for larger spaces and retail branded environment. Nowadays the in-store retail experience is crucial as more and more customers move to online shopping platforms. When they do visit the physical stores, the brand experience needs to be a memorable one! The physical stores, from boutiques to department stores, from multi-brand stores to outlets, have been revolutionized by the internet, a place for definition out of time and space. So why keeping on investing in physical stores if the internet is taking up all the space? Because we are human beings and the strongest and most authentic emotions are still felt in the physical universe, not in the virtual one. In addition, physical stores will remain a point of reference and a guarantee for consumers against fakes, which are mainly bought on the internet. Haute couture and niche perfumery, eyes and smell: in the integrated world of Gucci’s flagships, smell is one of the declinations of style. So to choose a dress “has a completely different smell”. Buying in a store like Gucci is like giving yourself a DREAM. To enter into the store, it is like enjoying the pleasure of entering into a special world, even if only by capturing a sensation or emotion, caressing a detail. 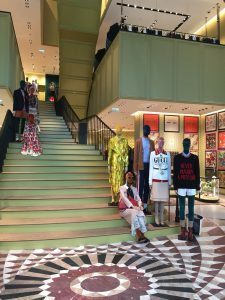 For this reason, perhaps, it is increasingly common to find flagship stores, where you can stop to buy a dress but also to be part of an experience that involves all the senses. 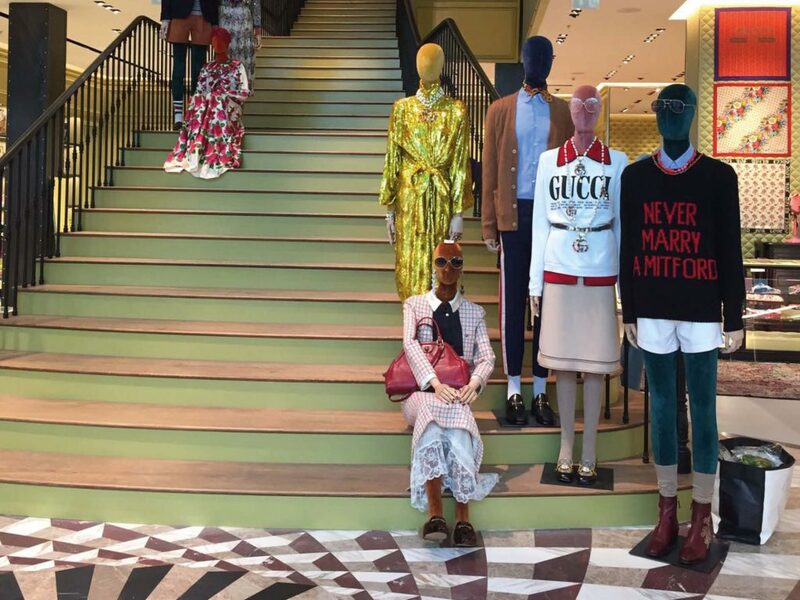 Gucci, as well as having integrated a bespoke ambient scent into its stores around the world, has also recently created Gucci Garden, an exhibition space, boutique, bookshop and tavern, where customers can stop and buy a suit and have a snack or relax. The quintessence of luxury seems to be combining the brand’s image, a custom signature scent diffused in the store and also refined cuisine. 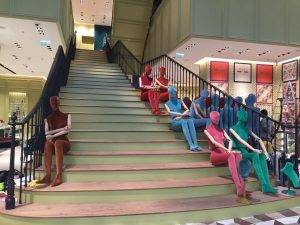 The message, more or less, sounds like this: if you can make customers spend more pleasant time in store space, they are likely to spend more and identify themselves again in a world that they adore and which reflects their style. A guarantee of sweetness and strong emotions. Just close your eyes and start another dream! Gucci store at The Dubai Mall is the latest Fragrant frontier. Scent Company has just completed the installation of the scent system diffusing Gucci signature scent. Today, Scent Company is managing the olfactory architecture of Gucci flagships all over in the world. The new store in Dubai has 3 floors and features the House’s fully revitalised store concept. The result is a space that entices, surprises and feels personal to Gucci.